The Energy Bill has finally been unveiled; featuring a number of environmentally-friendly objectives. However, some environmental groups have criticised the use of a push for green energy as an excuse for increased household bills. 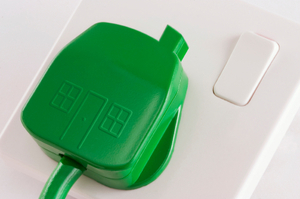 As previously expected, the bill also outlined that energy firms would be allowed to stick a green levy on domestic energy bills, potentially putting customers a further Â£100 out of pocket. In total energy firms including the 'Big Six', who are all part of the Warm Home Discount Scheme, will be allowed to increase the levy from Â£3 billion to Â£7.6 billion a year by 2020. It is expected that the switch to clean energy will cost around Â£110 billion over the next ten years. However, energy secretary Ed Davy has suggested that it will be a short-term loss for a long-term gain, adding that the average UK household would see energy bills Â£94 lower than what they would have been in 2020 without the low-carbon energy policy in place. He also confirmed that the Government would try to help ensure consumers were put on the best energy tariff to match their needs. Mr Davey, said: "Britain's energy sector is embarking on a period of exceptional renewal and expansion. The push for green energy is aimed at cutting the Country's usage of fossil fuels such as coal and gas, in order to use a wave of renewable energies such as wind, as well as other energy sources including nuclear and biomass. Mr Davey has suggested any new coal plants would have to include environmentally friendly carbon-capture and storage facilities in order to be allowed to open. However, the energy secretary also confirmed that there would not be a specific decarbonisation cap by 2030, or at least no targets on the matter introduced until after the elections in 2016 - leading to criticism from environmental groups. Friends of the Earth executive director, Andy Atkins, said the Energy Bill would: "lock the nation into increasingly expensive gas, condemn cash-strapped households to rising fuel bills and threaten the nation's targets for tackling climate change. "Ministers must nail the lie that green policies are behind soaring fuel bills - it's the rocketing price of gas that's overwhelmingly responsible for the misery inflicted on consumers."